In response to Parliament’s Stamp Act of 1765, American colonists assembled in New York City on October 7 to organize a unified protest. Since the end of the French and Indian War, the British Parliament had been looking for new ways to increase its revenues from overseas colonies. Among the steps they took was the passage of the Stamp Act of 1765, which placed direct taxation on the colonies for the first time. 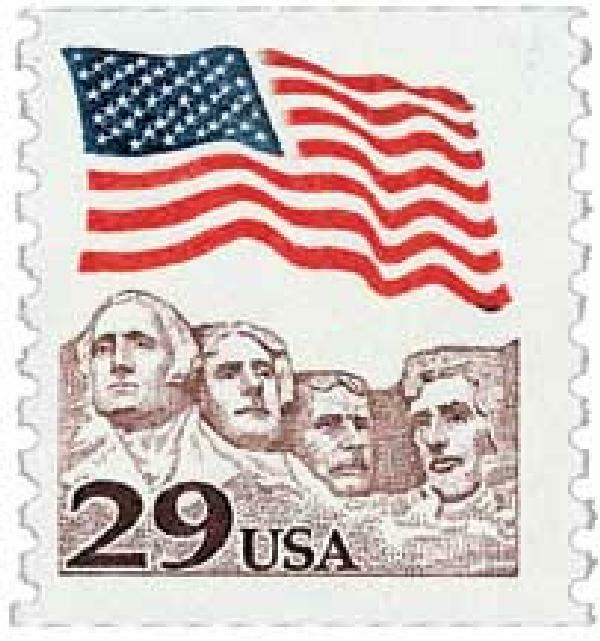 Under this act, all types of printed material required a stamp showing that a tax had been paid. Items requiring these stamps included newspapers, books, court documents, land deeds, almanacs, and playing cards. 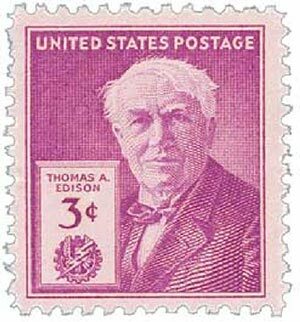 U.S. #945 – One of the world’s most prolific inventors, Edison held 2,332 patents worldwide a record number that wasn’t surpassed until 2003. Adding to his impressive list of inventions, Thomas Edison played his first motion picture film on October 6, 1889. Edison had toyed with the idea of moving pictures for a while. He believed that if a camera took quick, successive images, they could be projected to appear as if they were moving. With George Eastman’s invention of celluloid film, Edison’s idea became a reality. 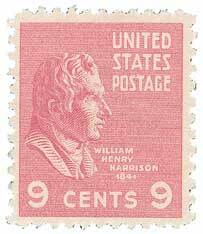 U.S. #814 – William Henry Harrison later used his victory at the Thames, as well as other battles to bolster his presidential campaign. On October 5, 1813, future President William Henry Harrison won the Battle of the Thames, securing American control of the Northwest frontier for the remainder of the War of 1812. A year earlier, the British captured the port city of Detroit. The Americans sought to re-take it, but couldn’t as the British also controlled Lake Erie. In September 1813, Oliver Perry won an important victory on Lake Erie, capturing an entire British squadron. With Lake Erie firmly under U.S. control, William Henry Harrison, commander of the Army of the Northwest, prepared to re-capture Detroit. U.S. #2523 – Mount Rushmore was sculpted with artful science. Huge portions of rock were blown away with surprising accuracy to lay out the rough features of each face. On October 4, 1927, Gutzon Borglum began sculpting Mount Rushmore in South Dakota’s Black Hills. In 1923, historian Doane Robinson recognized the amount of tourism generated by Yellowstone and Yosemite National Parks for their respective states. This gave him idea to sculpt a mountain to promote tourism in South Dakota. Robinson’s initial vision was to honor heroes of the American West such as George Armstrong Custer, Meriwether Lewis, William Clark, and the Sioux Chief Red Cloud. 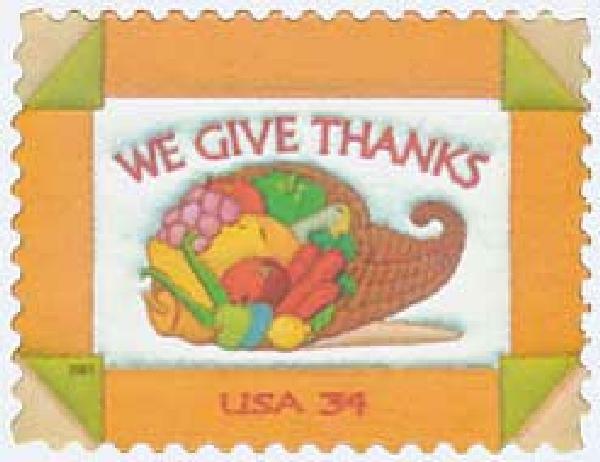 U.S. #3546 – Though Thanksgiving celebrations were held since the 1620s, they didn’t become an annual holiday until 1863. On October 3, 1789 and 1863, two sitting presidents called on Americans to celebrate a day of Thanksgiving in November. U.S. #4378 – Redwood National Park is home to “Hyperion,” the tallest known living tree. Discovered in 2006, it stands over 379 feet tall and is estimated to contain over 18,000 cubic feet of wood. 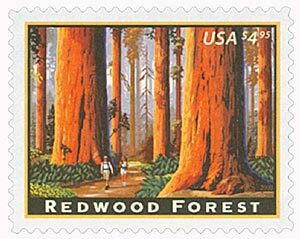 On October 2, 1968, Lyndon B. Johnson signed legislation establishing Redwood National Park. Redwoods are some of the world’s tallest trees and are unique to the California and Oregon coasts. For centuries, Native Americans used these giant trees, which were easily split, to build their houses and boats. Jedediah Smith, the first American to travel up the California coast and see the redwoods, called them “the noblest trees” he’d ever seen.